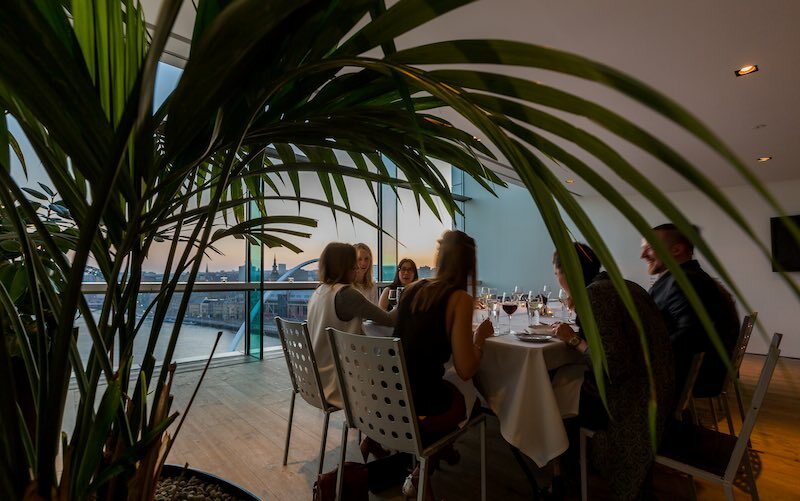 Located in BALTIC’s Level 5 Viewing Box, directly beneath the restaurant. Six’s private dining room is available exclusively for you and your guests for the duration of the evening. 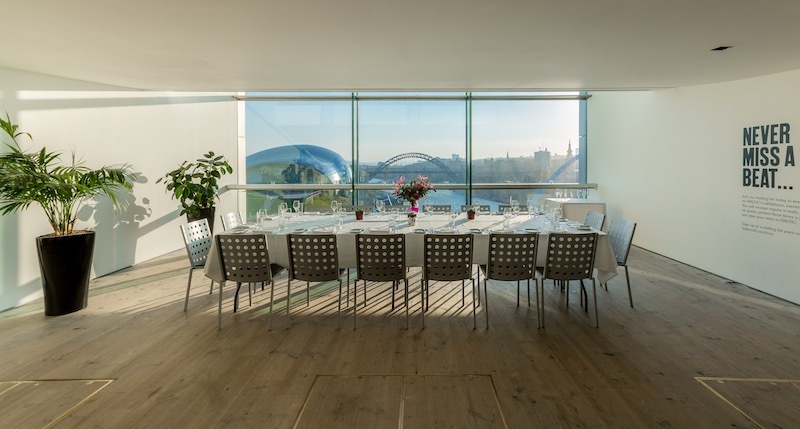 The room has a full glass wall offering a stunning panorama of the quayside and Newcastle cityscape and seats up to 24 guests. Monday - Saturday, 19:00 - 00:00. The room set up fee is £120 Monday to Friday and £150 on Saturdays this is a non-refundable fee to secure the booking and covers the room setup. For parties of 14 or less guests can order on the night from our A La Carte menu, which changes seasonally reflecting the availability of local ingredients. For parties of 15 or more we require a full pre order 48 hours prior to the event from a reduced menu. To enquire further or make a reservation please drop us an email to eat@sixbaltic.com.